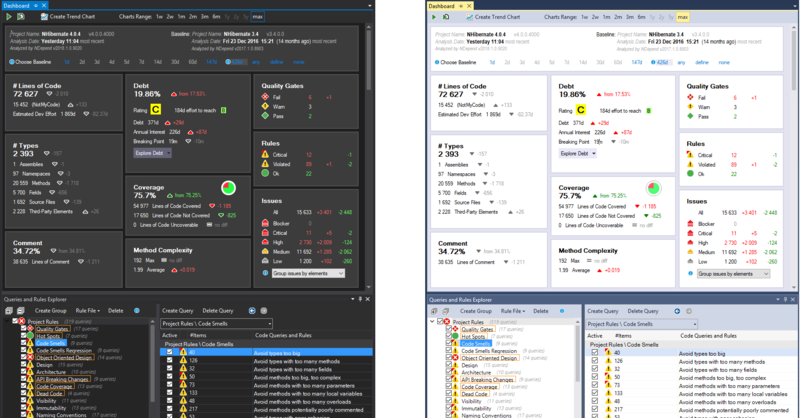 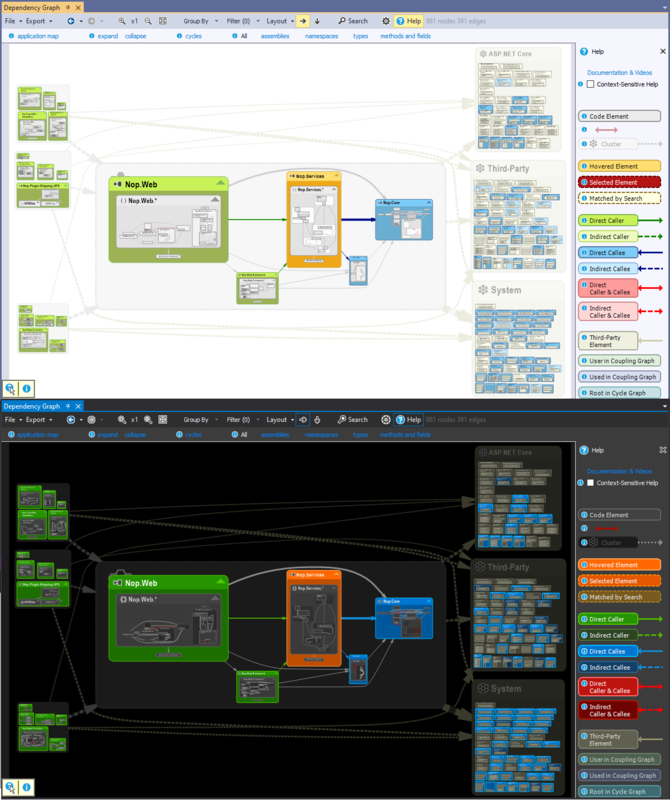 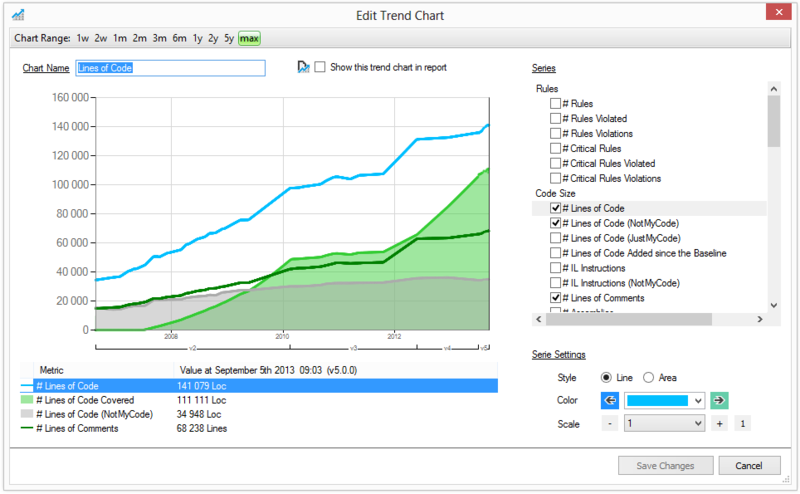 Dashboard comparing NDepend v2017.1 and NDepend v6.3 snapshots + Trend charts, with a focus on the Explore Debt menu. 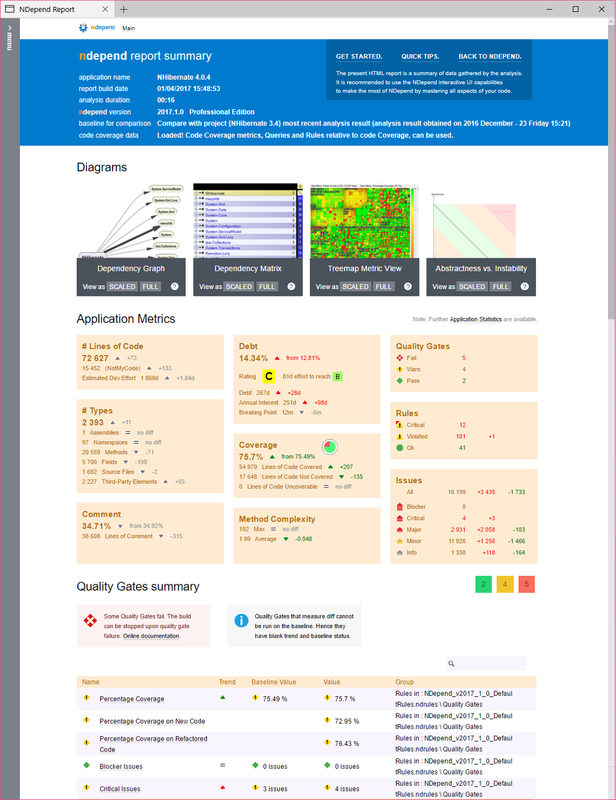 Exploring Quality Gates status from a single click on the dashboard. 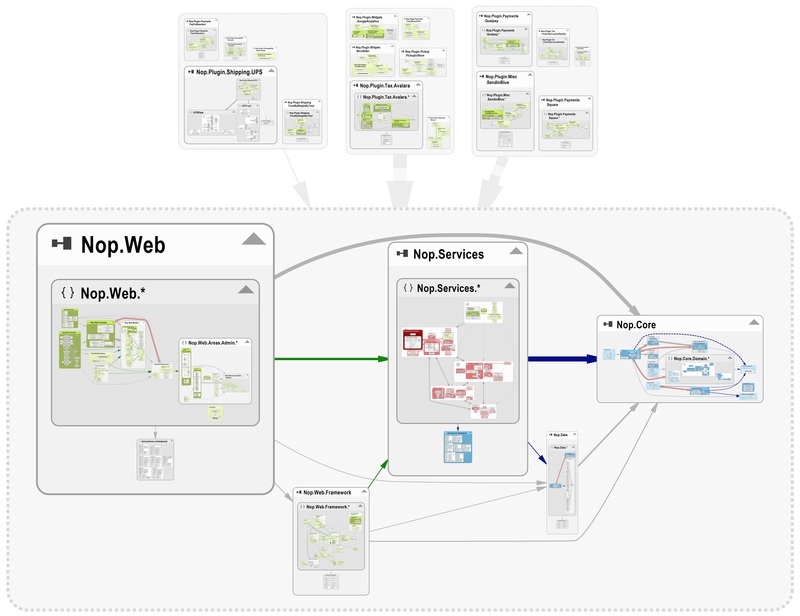 Exploring issues from a single click on the dashboard. 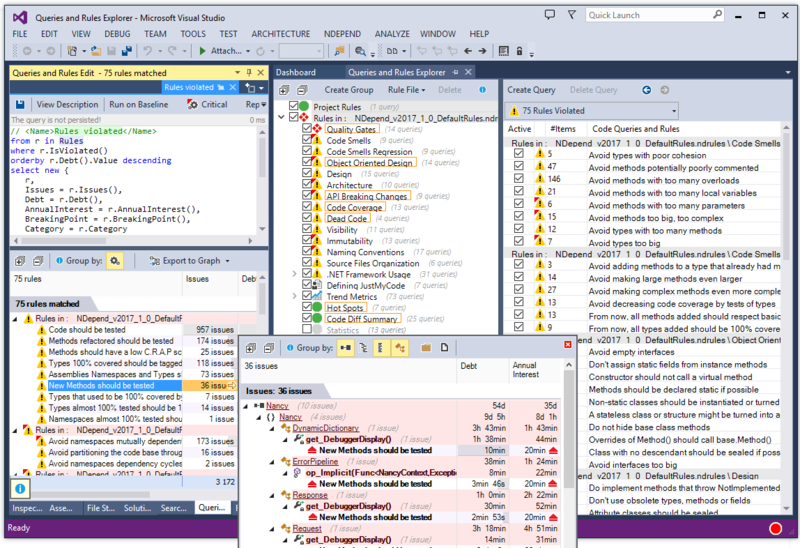 Generating a CQLinq Query from an interface in the VS Code Editor. 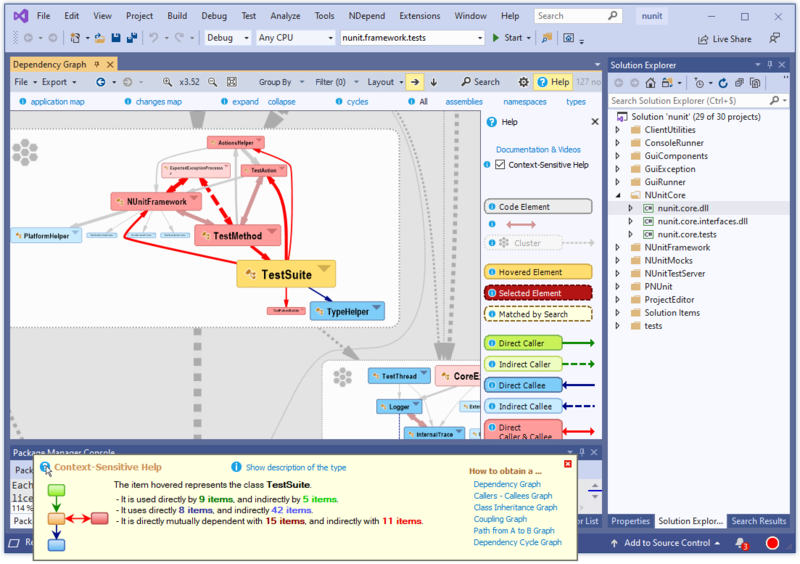 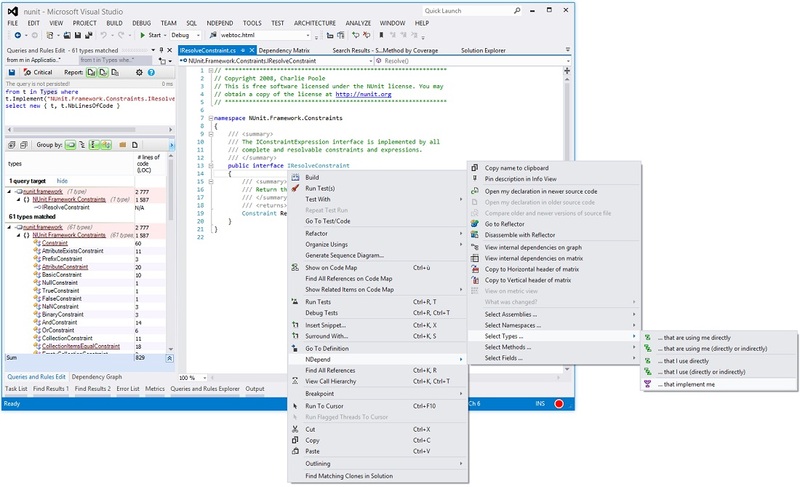 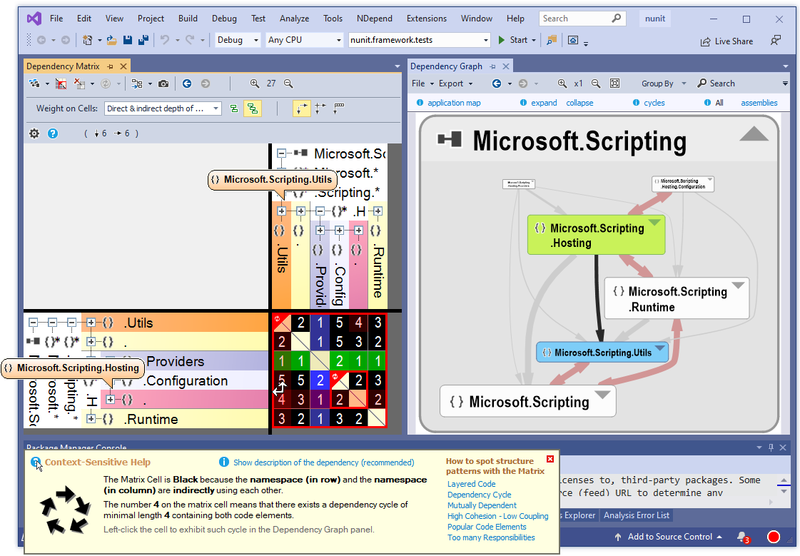 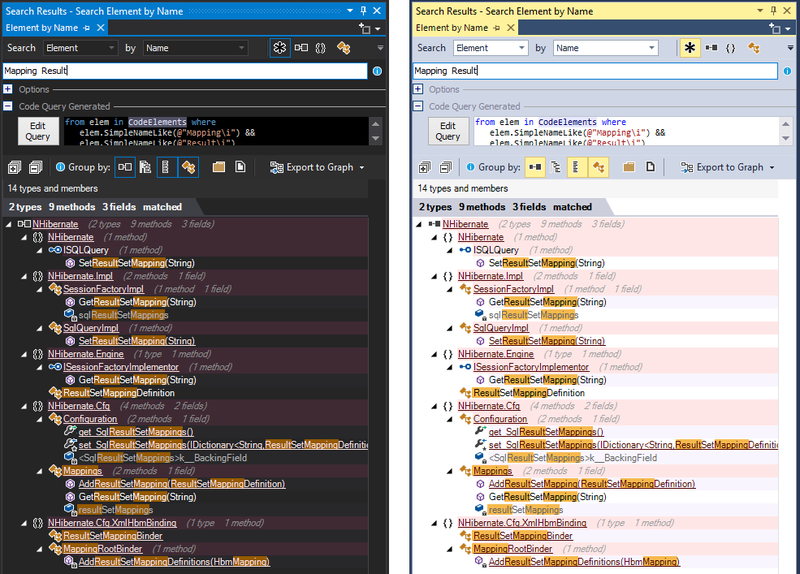 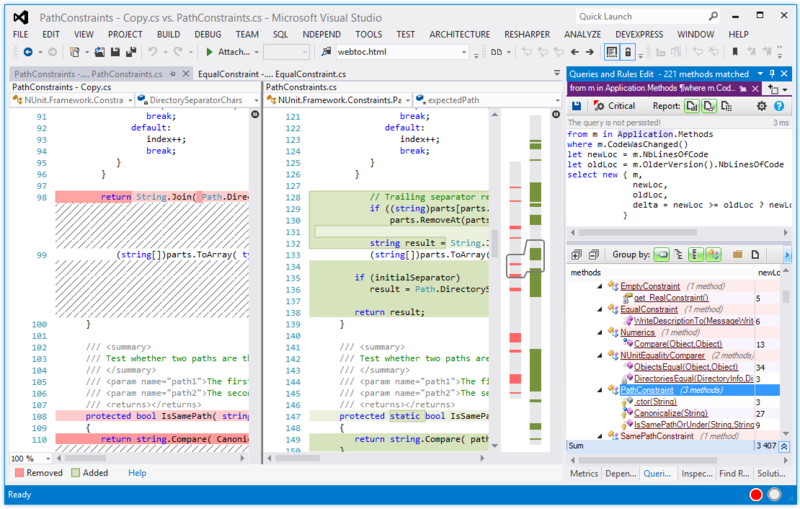 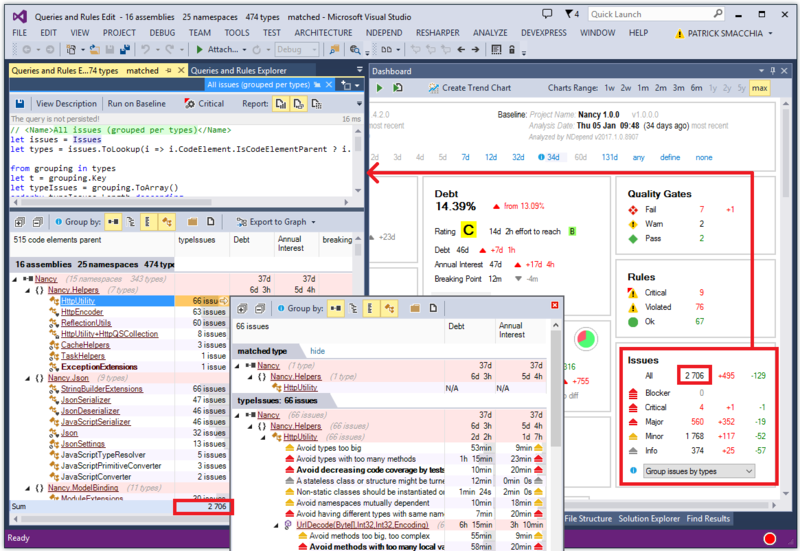 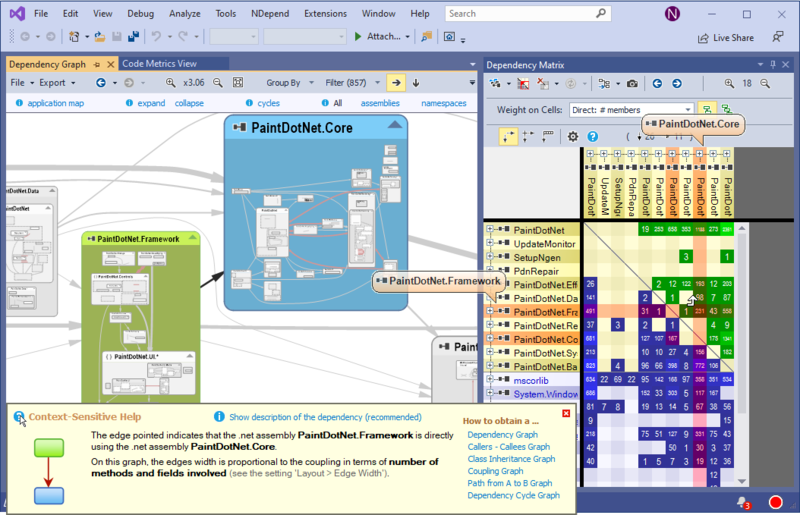 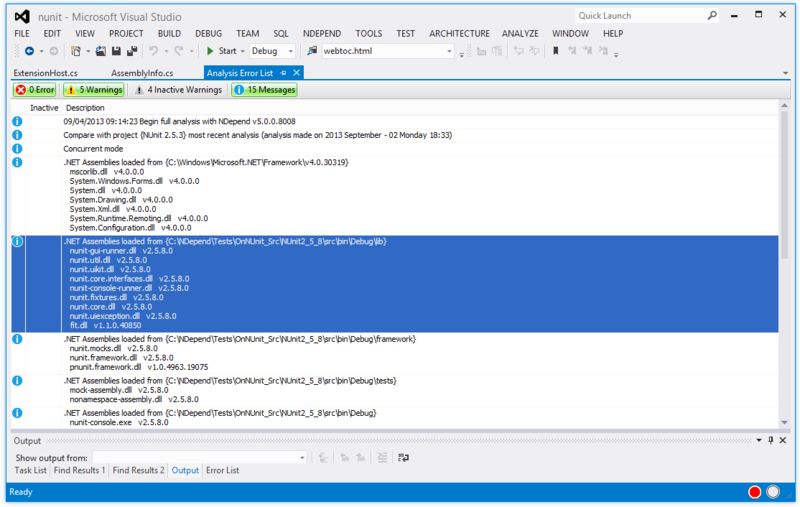 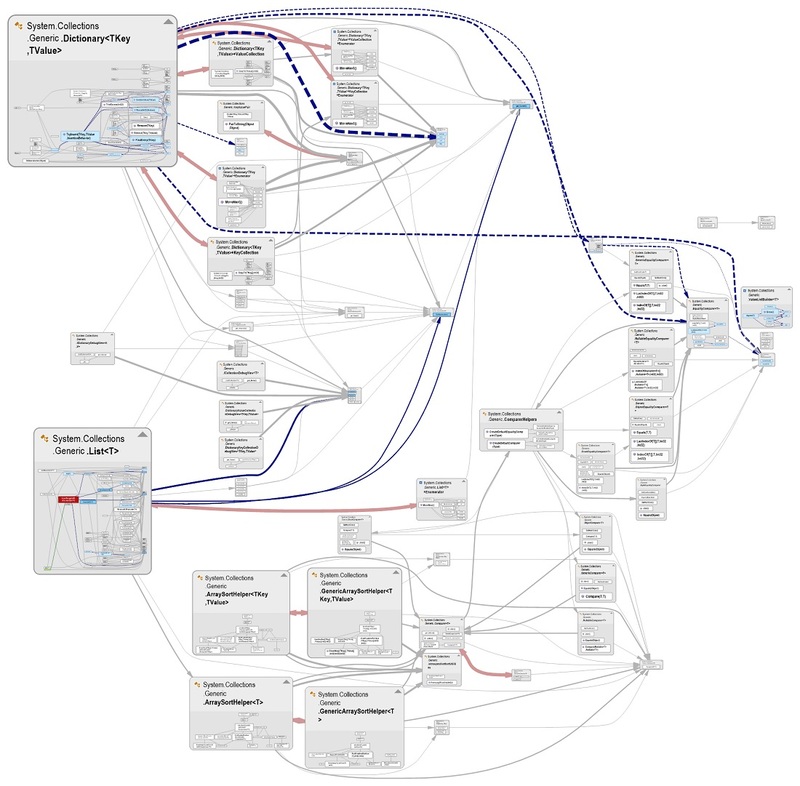 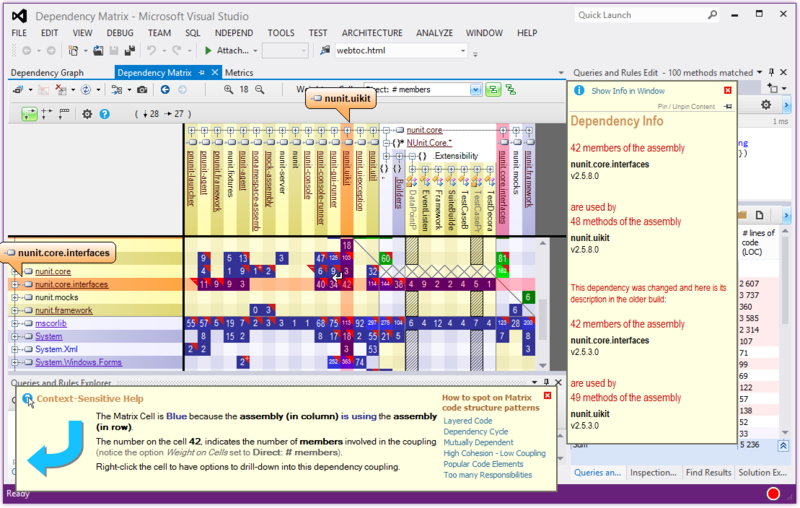 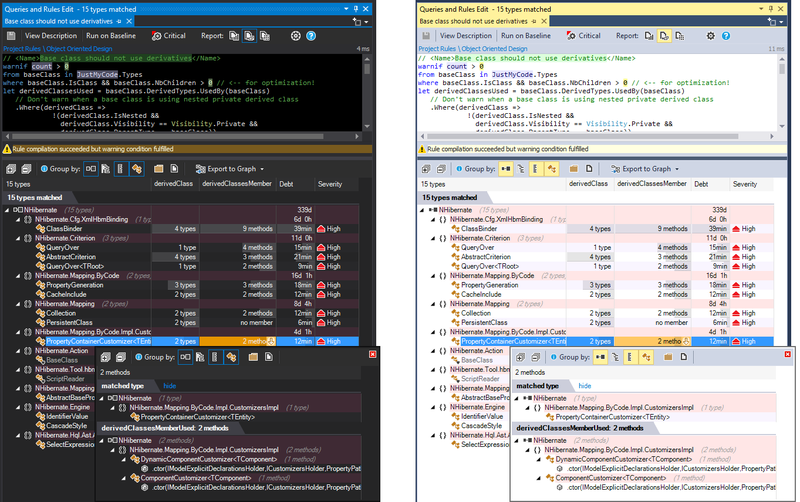 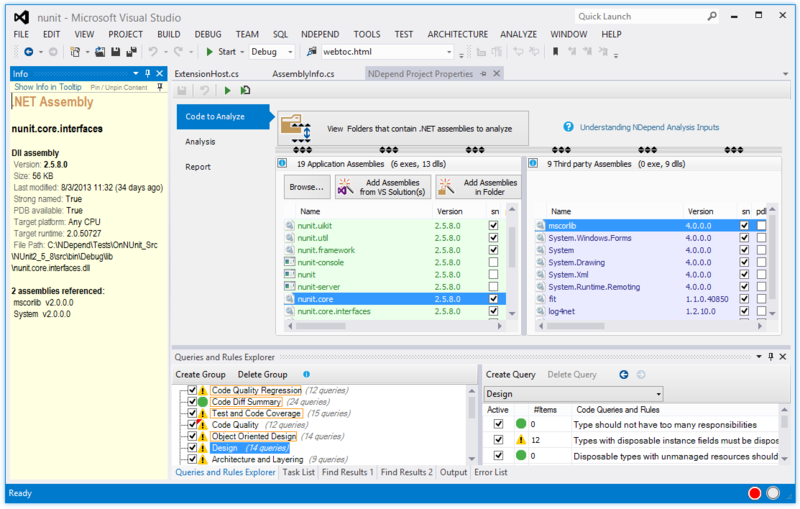 On the Metric View, the rectangle represents methods of the .NET Framework 4.5.